Analysis How does Korean flash and DRAM chipper Samsung's Z-NAND compare to Intel and Micron's 3D XPoint? Z-NAND is Samsung's tweaked flash technology, thought to be SLC (1 bit/cell) with a customised controller to speed it up. 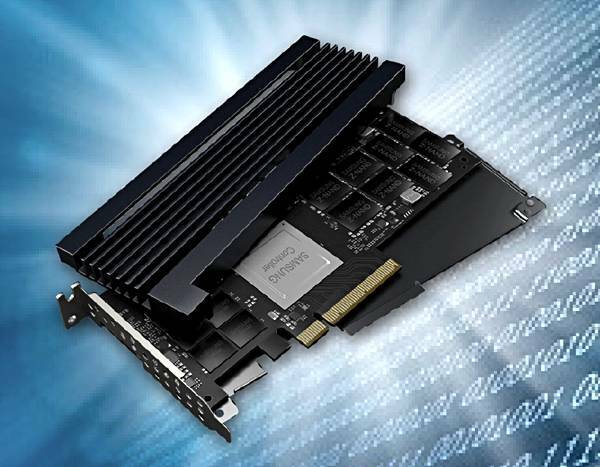 Optane is rushing Z-NAND to market adoption and it's a wide-open race. One of XPoint's advantages over NAND flash was its lower access latency – 10μs for both reads and writes compared to 110-120μs for an NVMe SSD read. A 10x lower latency is a very nice thing to have. The SZ985's endurance has been calculated from its 30 drive writes per day rating and assuming a five-year life. The Samsung drive has a slightly higher random read IOPS rating than the P4800X, but it is far behind the Optane drive in random write IOPS. However it regains the advantage in the sequential read/write bandwidth area where it is 42 and 60 per cent faster respectively. Endurance is a wash, if our calculation is correct, and Optane has a lower latency than the Z-NAND drive but not, Lord Almighty, by much. The Z-NAND drive's worst case is 20/16μs read/write latency, which, in the general scheme of things, is still better than 110-120μs. Samsung suggests it can be used to speed IO for databases like MongoDB. Its own testing of the RocksDB key:value store, which is a backend for MongoDB, says it increases throughput 2x and cuts latency in half compared to using Samsung's own PM1725a SSD, a 48-layer 3D TLC (3bits/cell) NAND product. When used for caching with Memcached and Fatcache, it provides a 1.6x increase in throughput, again compared to the PM1725a. Much will depend on pricing and availability plus software support. If Samsung can undercut Optane on price sufficiently, provide a reliable supply and demonstrate good system software support then it could severely cramp the Optane market. We daresay that Z-NAND DIMMs might also be a good product area for Samsung, if it could get server OEM support and sort out any OS and system software issues.